Nikon has said that it views the accuracy of its AF points as more important than having more points towards the edge of the frame. Although both the Nikon D800 and Nikon D4 utilise a 51 point autofocus system, all of these are clustered together in the centre of the frame, within the DX cropping frame. 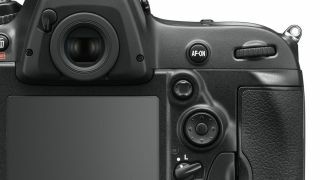 Other cameras, including DX (APS-C format) SLRs, but particularly compact system cameras, have autofocus points available right up to the edge of the frame. Speaking to TechRadar, James Banfield of Nikon UK said, "The accuracy of the focusing is really sacred. People look at images at 100% to see if they are pin sharp. The most accurate area of the optic is the central area, and there's not a great deal you can do about that." Banfield said that the company conducts research with professional photographers to find out how the cameras are being used in the real world. "As a manufacturer, we love to assume that professional photographers are using all the different points, but actually the research tells us that they don't necessarily use them all," he said. "What people are saying is most of the time is that they just want them to be sharp. We won't compromise on accuracy. "The best images tend to have been captured with the subject at the centre, or just off the centre of the frame and later cropped - that's how most [pro] sports photographers shoot. "The digital generation may come to rely on customising the camera, but most pros aren't working that way at the moment," he continued. It seems, for the moment at least, those wanting to capture something at the edge of the frame will need to use the time honoured method of focusing and recomposing.